PITTSBURGH – Milena Roucka and Courtney Daylong of Totally Fit Mama, will present the discussion, “Personal Development and Product Launch– A Story of How Two Women Embraced Life and Vowed to Not Only Help Themselves and Each Other, as Well as Women All Over the World,” at the Women Who Embrace Life Conference being held at the Pittsburgh Business Show on May 15. Milena Roucka, former WWE wrestler Rosa Mendes, E’s Total Diva Celebrity, Mom and her business partner Courtney Daylong, Certified Health and Holistic Practitioner from the Institute for Integrative Nutrition, Mom, and Entrepreneur, will be discussing the effects of sugar and inflammation on the body at the show. Daylong said Roucka did her own test about sugar and inflammation by eating whatever sugar and other foods she wanted. “She wanted to see how she would feel and how it would affect her mood, energy, her skin, general demeanor, and her level of focus,” Daylong said. “I did a really interesting talk about three years ago at the farm to table conference in Pittsburgh. It was an hour-long talk on sugar and inflammation,” Daylong said. She said she has learned more about sugar and inflammation since giving that talk and plans to take things to a whole different level at the Show. Roucka called her experiment “Supersize Me” and conducted the experiment knowing the Daylong had written the Diva Diet. The Diva Diet is a flexible diet that allows people to choose their meals from a variety of recipes along with a range of snack options and two of their protein bars per day. 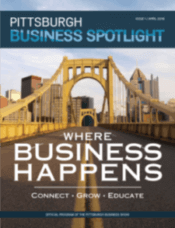 Roucka was new to Pittsburgh when she met business partner Daylong by chance at a local hair salon. Roucka said they hit off right away and as they chatted back and forth, they discovered they shared an interest in health. Toward the end of her pregnancy, Roucka said she ate a lot of unhealthy foods, and after her daughter was born, she wanted to find recipes that were more than just grilled chicken and steamed vegetables. Roucka said Daylong had some recipes, so she joined her for lunch to try one of Daylong’s healthy recipes. Roucka said she started thinking about all the women who after they have a baby are used to eating all that delicious food. As a mom, Roucka noted, you are low on energy, so it is essential to give your body the healthy nutrition you need to keep up with your newborn, so they created a meal plan. “One thing we try to do really, really well is to respect people differences,” Daylong said. She said the Diva Diet offers flexibility and substitutions to suit everyone, so for example, if you don’t like brussel sprouts, you can substitute green beans. In addition to their meal plans and workouts, Roucka said they started getting emails from customers about products. Roucka said after trying a Fit Crunch Bar, they met with the manufacturer of Fit Crunch, who is based in Pittsburgh and was impressed with their brand what they were doing for women. She said they developed a protein bar for women, mainly for moms and busy women. The bar has no sugar alcohols and is “very clean” Roucka said. “We’ve really changed a lot of women’s lives,” Roucka said. Click here for more information on Totally Fit Mama. Click here to purchase tickets for the Women Who Embrace Life Conference being held during the Pittsburgh Business Show at the David L. Lawrence Convention Center May 14 and May 15.